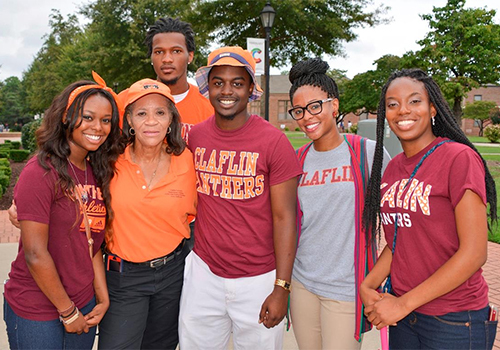 When Claflin University’s administration was looking for new management for its bookstore, three criteria seemed to take precedence: service, service, service. Another big change: student employees. “Students make great employees. They’re walking billboards — they know the school, they know what students are looking for, and they know the bookstore,” Griffin stated. The bookstore now employs six student employees: one as assistant manager, one as supervisor and four as booksellers. 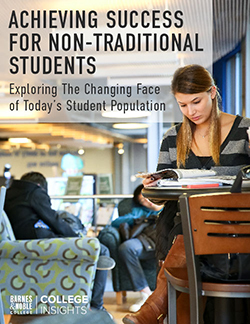 Students find the experience mutually beneficial. “There are a lot of benefits for student employees,” stated Andy Michel, a bookseller and Claflin sophomore. Michel feels comfortable answering a wide range of questions from customers, from both a bookseller and student perspective. “I can answer questions about financial aid or book coupons or guide students to the appropriate people,” he said. 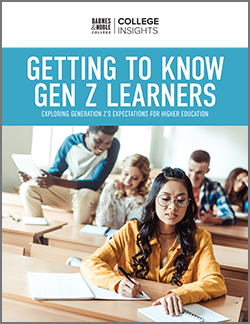 “If there’s a problem with a class and they need to drop or add, I know where to direct them.” Depending upon a student’s major, he also helps answer specific questions about classes, professors and textbooks. Claflin’s sustainability initiative provides the bookstore with an opportunity to support the college community’s notable efforts to go green. Students participating in Claflin University’s “Green It & Mean It” day, a campus-wide recycling celebration that supports the university’s sustainability efforts on campus. In September, under the theme “Your future is orange, maroon and GREEN,” the university unveiled new exterior recycling bins around campus; recycling bins for paper, plastic and aluminum in each residence hall; and plans for a one-stop recycling center behind the Dining Center. 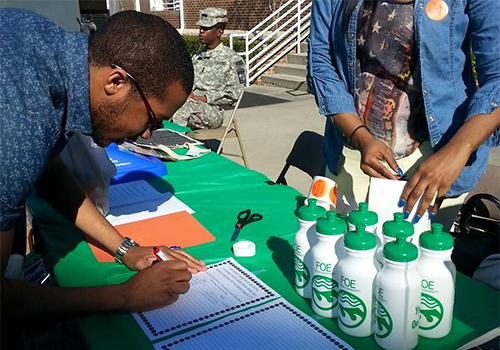 Claflin University also has the distinction of being ranked #1 in PepsiCo’s 2014 College Recycling Challenge. Ultimately, all of these efforts work to integrate the bookstore into campus life and provide that all-important qualification: service. “It is now without a doubt a better store as a result of the emphasis on customer service and the products we offer,” praised Michel.